Our honeymoon stay with Il Pellicano was all that and more. If you missed my prior posts, this Tuscan gem has been on my bucket list for a long while. Marie-Louise Scio, affectionately known as the hotels “Chef of Magic” (also the CEO & Creative Director and might I add, alum of RISD), has truly worked her magic to make this escape so enchanting and down right cool. 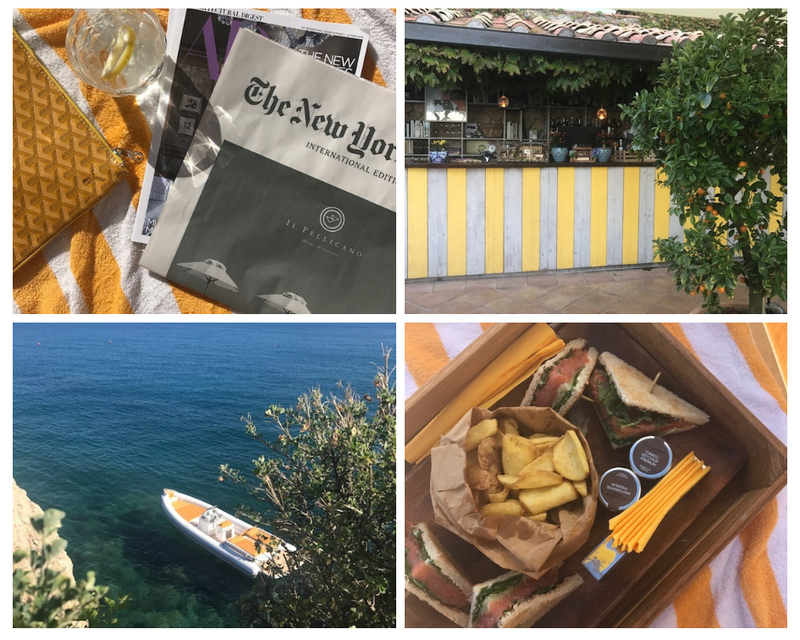 I loved the repetition of the citrus yellow color around the hotel - from the chic beach towels, napkins with the most delicious seaside lunch, and striped bar where we enjoyed many aperol spritzes. I encourage you to read on about the hotel’s legacy here.